Arnold Bocklin Art is brand new hidden objects game created by Ainars for Puzzledgames. 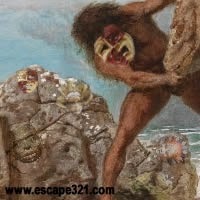 Find 20 ancient masks in each of 5 game levels. Save hints point and fins all masks as fast as you can to receive better score. Good Luck!